Product #30823 | SKU AT829CW | 0.0 (no ratings yet) Thanks for your rating! 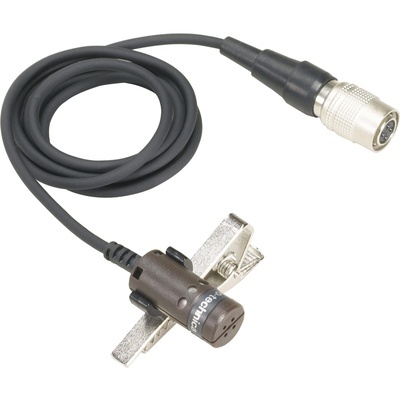 The Audio-Technica AT829cW is a cardioid lavalier microphone terminated with a locking 4-pin connector. The microphone is intended for use with A-T UniPak body-pack wireless transmitters. The microphone cable measures 1.4 m in length.